Bentley Suites Canberra, Hotel Australia. Limited Time Offer! Bentley Suites. "Bentley Suites" has 4 stars. 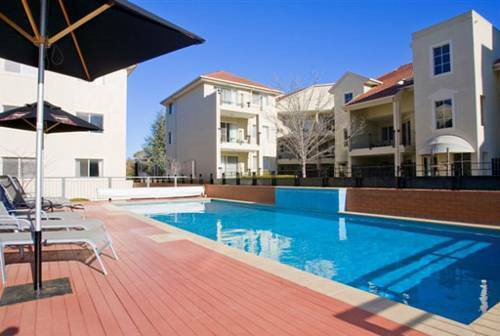 The accommodation is an excellent place to stay when discovering Canberra. There is a pool available. For visitors who appreciate sporting activities, this accommodation offers golf. For visitors' well-being, there is a jacuzzi, a welcome relaxation after all your physical activities of the day.